Like a boss: With this achievement, you can get the top score in a deathmatch, irrespective of its level of difficulty. Untouchable: You can complete a quick match with twice as many kills as deaths. Hero of War: Will let you complete the campaign. Indecisive: You can get a kill with each weapon in one game. Headshot: Receive 50 headshot kills. 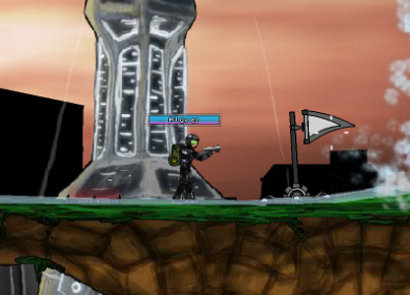 Return to sender: You will be able to kill the enemy with its own sticky grenade that is stuck to your game avatar. Death from beyond the grave: Will let you kill an enemy while you are waiting for re-spawn. Pistol Whip: You will be able to complete a match by using only the pistol. Addicted: With this achievement, you can play 50 matches. The controls of the game are simple. You can either use the WASD keys or the Arrow keys for moving the game avatar. If you want to double jump the game character then press ‘W’ or Up arrow key while you are in the air. The Space key has to be used to Jump. 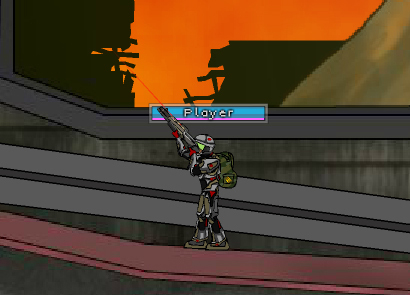 For aiming around the game character, you need to make use of the mouse. 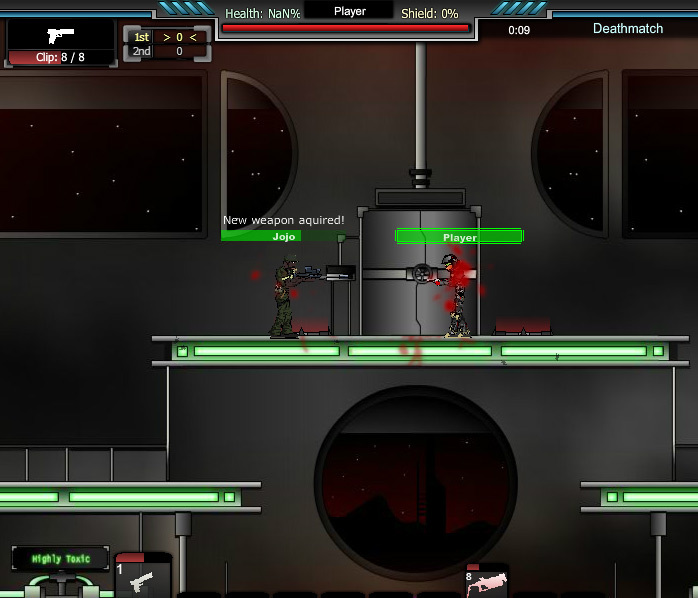 Click the left mouse button to shoot other opponents. To select weapons, you need to press a number and select a specific gun. Alternatively, you can even use the ‘Q’ and the ‘E’ keys or Enter and Shift for switching weapons. 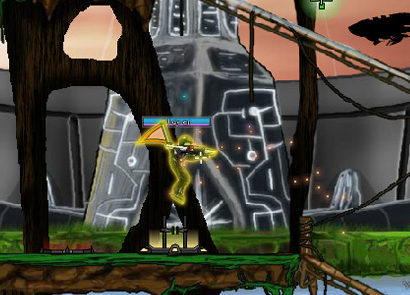 The game can be Paused by making use of the ‘P’ and Ctrl button. If you want to check your scores in the game then make use of the Tab and Space bar. Assault Rifle: Can deliver 15 rounds per second with a clip size of 30. Bio Uzis: It consists of canisters that are made of highly condensed mixtures of toxic waste and acid. Magnum T2: This handgun is the strongest pistol to date. Zapper: Death by this weapon will have a powerful effect on the target’s outside as well as inside appearance as it will be charred and melted away. 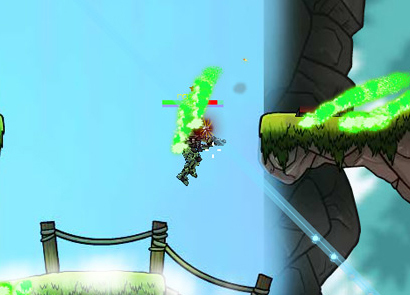 Ducking will improve the accuracy of your weapons, while jumping will reduce it. Use the Railgun to shoot through people and make multi-kills easily. Make use of the AoE weapons to hit directly as that will create more damage. With every weapon, the headshot will do more damage. The more you move and jump, the less you will get shot. 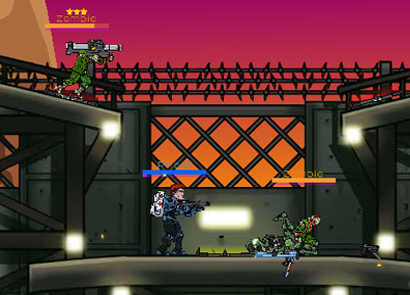 Try to earn health, shield, and powerups as much as you can. 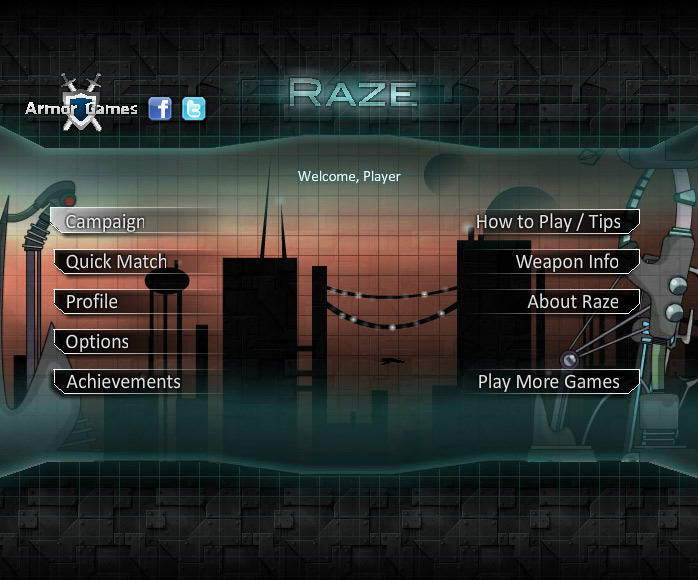 So, use these tips and have an amazing time while playing the Raze hacked game.